This is the country of Swami Vivekananda, who electrified the World Conference of Religions at Chicago in 1893, by telling the delegates that Hinduism did not merely tolerate other religions but accepted them, because the great religions are like rivers that have carved out different paths but end in the same sea; like paths up a mountain that end at the same peak. This is the country that produced Mahatma Gandhi, who drove the British out of India without firing a shot at them. But today this same country is in the grip of a blood lust in which the only issue being discussed ad nauseamis ‘how many terrorists/ Pakistanis/ Muslims did “we” kill in Balakot? “More than two weeks after the (Pulwama) attack, our analysis finds that no news site had rectified the errors in their reporting, leaving these misleading facts as a matter of public record. Instead, the Indian media has ascribed to itself the role of an amplifier of the government propaganda that took two nuclear states to the brink of war. Many TV newsrooms were transformed into caricatures of military command centers, with anchors assessing military technology and strategy (sometimes incorrectly). Some even dressed for the occasion in combat gear. Speculation and conjecture were repeated ad infinitum, and several journalists even took to Twitter to encourage the Indian army”. If blame can be ascribed to any single individual, it has to be Prime minister Narendra Modi, who is willing to stop at nothing to win the next election. But why have the media , that pride themselves on being the Fourth Estate of democracy (“The Nation wants to know”) joined in so enthusiastically? The short answer is that the audience to whom it panders is not the India that has existed for ages, but a new India being created mainly in the urban areas today. That India and its proponent, the RSS, are products of modernity and the rupture it creates with the past. For this India religion begins and ends with the robotic performance of ritual, poojato idols, pilgrimages to Vaishno Devi and Amar Nath, and ‘purifying’ baths during the Kumbh Mela at the confluence of the stinking Ganges and Yamuna rivers that they have not the slightest intention of either reviving or cleaning up. This new India is still very small. Even in 2014, barely 31 percent of the electorate voted for Modi. So why are there no defenders of the old India out there? While many factors are responsible, in the political sphere the answer seems to lie in the cultural vacuum at the core of the Congress, the largest party in the opposition. The leader of the Congress is a lady born in Italy and raised a Catholic. The President of the party is only one quarter Hindu by blood, and not Hindu at all by nurture or education. Neither of them has a gut understanding of the core values of Hindu society; its syncretic, accepting, pluralism; its willingness to adapt, live and let live. So neither of them is able to feel the anger that the degradation of Hinduism, and perversion of its core values by the RSS has created in caste hindus of the old India, and the fear it has inspired in the Dalits, some of the backward classes and the Muslims. This emotional vacuum at the top has led the Congress into the trap of trying to compete with the BJP by peddling ‘soft Hinduism’, instead of opposing the ‘hard Hindutwa’ of the RSS, tooth and nail. Before the Gujarat elections Rahul Gandhi visited temple after temple, came out of them with a teekaon his forehead and proclaimed that “I am a Hindu” in much the same way as a convert to Islam or Christianity would proclaim that he or she is now a Muslim or Christian. This “soft” Hindutwa explains why he was so quick to accept Pakistan’s culpability in the attack, why he described it almost sentimentally as “an attack on India’s soul” and, without prior discussion, committed not only the Congress but the entire opposition to “fully supporting the government and the security forces” in their actions. By doing this he legalized in advance every action that Modi has taken against Pakistan. “Soft Hindutwa” also explains many of his subsequent silences and omissions, such as why he did not point out that Pakistan was only indirectly to blame because the suicide bomber was a Kashmiri youth; why he did not immediately condemn Modi’s dangerous brinkmanship in launching a pre-emptive attack on a Jaish-e-Mohammad madrassa and training camp at Balakot, and why he did not immediately condemn Modi’s calculated silence over the expulsion of thousands of Kashmiris from apartments, rooms and hostels by frenzied mobs across north India. To the minorities, as well as to the Hindus of the ‘old’ India , it conveyed the disheartening news that for the Congress too political expediency trumped the rule of law. So why bother to vote for it? This lack of courage has allowed Modi to turn the tables on the opposition. Whereas it is he who is playing a dangerous game of brinkmanship in a desperate effort to win an election he was almost certain to lose, with the help of the ever-subservient media he has been able to portray the opposition as unprincipled, opportunistic politicians who care two hoots about India’s security and standing in south Asia and the world, and are only intent upon ousting the BJP from power at any cost. 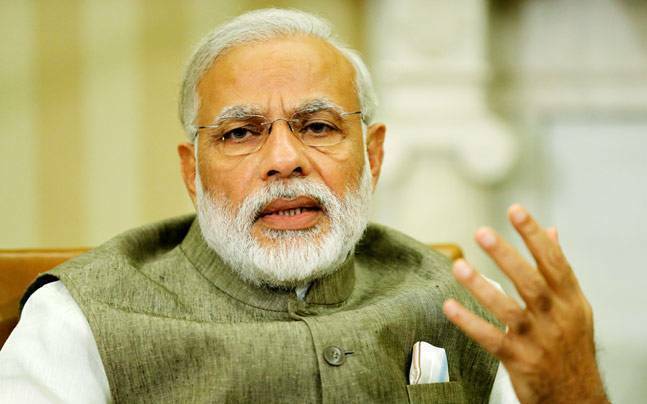 As a result, Modi has been able to make a significant part of the population of the country forget, at least for the moment, the collapse of the economy, the crisis in agriculture, the stagnation of industry, the 11 million jobs lost by it over the past five years, and the hollowness of the grandiose promises he made to them when he came to power. Whether Modi will be able to make their amnesia last till the general elections remains to be seen. But Rahul Gandhi’s silence on this front too is not going to shorten it. Unfortunately this is not the end of India’s misfortune for, having made one major mistake, Rahul Gandhi seems intent on making another, even bigger one. This is not to understand the imperative need to avoid fracturing the anti-BJP vote at any cost. Instead through his lack of experience and his want of leadership qualities, he is doing the exact opposite: in state after state he is allowing the shortsightedness and greed of his party rank and file to make him demand far more seats in than the Congress’ share of the vote merits, and thereby disrupt the building of a common front against the BJP. In Delhi the Congress has flatly refused to make any seat-sharing agreement with the Aam Admi Party, and has decided to fight all the seven seats by itself, despite the fact that it does not stand a snowball in Hell’s chance of winning even a single seat, and can only divide the vote in favour of the BJP. This has been made abundantly clear by an opinion poll based on a mammoth 18,750 person sample has shown that while the AAP still holds 52 percent of the vote, the Congress share is a paltry 5.5 percent. In the crucial state of UP the Congress has already published the names of 11 candidates and intends to fight many more seats in spite of having won only 2 seats out of 80 in 2014 and commanding barely 11 percent of the vote. In UP too whatever little chance the Congress had of cutting into the BJP vote to win some seats has been destroyed by its tame acceptance of Modi’s leadership in dealing with the aftermath of Pulwama. Today, all that the Congress can do is to increase the number of seats that the BJP will win. As if these setbacks are not enough, if reports in some newspapers are accurate, relations between the Congress and Tejaswi Yadav’s JDU are also becoming strained in Bihar. How costly Rahul Gandhi’s immaturity , and lack of leadership qualities, can prove was shown by the results of the Gujarat state assembly elections in December 2017. 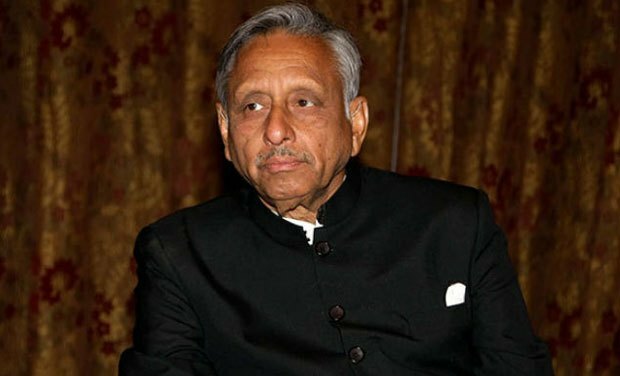 Long before he turned on Mani Shankar Aiyar, the most eloquent speaker in his own party, when Aiyar defended the Gandhi family against an unprovoked slur by Modi by calling him a neech kism ka admi, (which Gandhi misunderstood as a neech jaat ka admi) , he had already ensured a BJP victory by spurning the Aam admi party as well. Well before the election, Arvind Kejriwal had made three attempts to contact Rahul Gandhi in order to forge an alliance with the Congress in Gujarat. Kejriwal had understood that while the AAP could not win any seats on its own, it did command a sizeable share of the vote in Gujarat. He was therefore willing to put up AAP candidates in seats selected by the Congress, where the AAP had the greatest capacity to cut into the BJP’s vote. Rahul Gandhi did not even bother to reply to his a phone calls. So BJP came back to power by the skin of its teeth, winning 18 seats with a margin of 5,000 or fewer votes and nine with a margin of less than 2,000 ! Today the Indian nation is facing a crisis whose seriousness almost no one in the Congress party understands ( and the few who do dare not to speak). Thanks to Rahul Gandhi’s inexperience and indecisiveness there is now a distinct possibility that the BJP will emerge as the largest single party after the next elections and be able to form a government with disillusioned elements of the Mahagatbandhan.Should that happen, the dwindling but still substantial number of Kashmiris who want azadiwithout losing their links with India will lose all hope and start backing those who want to secede from India. India will have lost Kashmir forever. Worse still, a future BJP government’s attempt to hold on to it by force alone, as Modi has done for the last five years, will almost certainly precipitate a war with Pakistan. In the Indian heartland democrats and dissidents will be silenced through a wholesale use of the sedition laws. First the High courts and then the Supreme Court will collapse under the burden of the cases that the victims will file. Vigilante rule targeting Muslims and Dalits will gather momentum. As faith in the police and the judiciary dwindles first a few, and then more Muslim youth will conclude that it is better to die fighting than live in fear forever, and swing to terrorism as hundreds , if not thousands, of Kashmiri youth have done in the past five years. The police repression that will inevitably follow will destroy the last vestiges of democracy and the rule of law. State governments not under BJP rule will not take this lying down. Their attempts to protect their democratic systems will lead to the splintering, and then disintegration, of India. The portents of disintegration are already visible: Modi has not held a single meeting of the National Development Council since he came to power, and questioned the very need for its existence in January 2015. And the first signs of rebellion by state governments against arbitrary rule by the Centre have already appeared. Between November 2018 and January 2019 three states – Seemandhra, West Bengal, and Chhattisgarh, have withdrawn their ‘general consent’ to Central enforcement agencies, to operate in their territory without prior, specific permission, under the Delhi Special Police Establishment Act. The portents are unambiguous: if the BJP of the Modi era (not to be confused with the BJP of the Vajpayee era) is returned to power it is not only its democracy but its unity, and its syncretic culture that will be in mortal danger. As BJP, Congress Race to Promise the Earth to the Poor, Who Will Foot the Bill? While such electoral promises may garner votes, taxpayer money meant to safeguard India’s future is instead spent on an ever-expanding web of social welfare programmes that don’t really enable the poor. The approach of the next general election has reminded political leaders of the existence of the poor in India. This has set off a rash of competing promises to the electorate. On January 28, three days before the budget, Congress president Rahul Gandhi announced that his party would guarantee a minimum income to every poor family in the country. 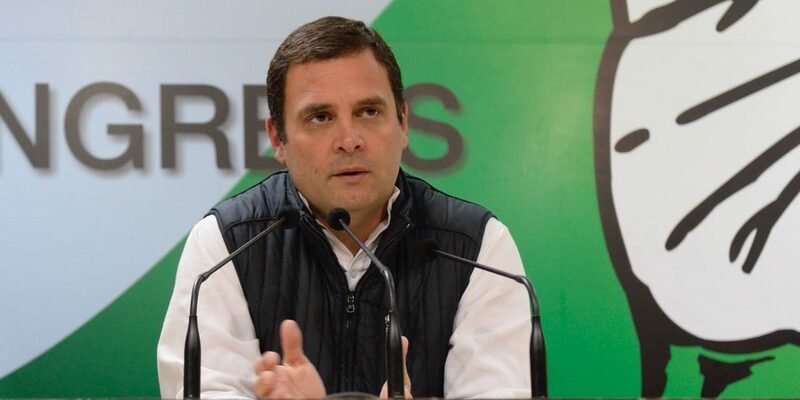 As of now neither Rahul, nor anyone else in Congress, has clarified precisely who will benefit from this scheme, but the cost will be prohibitive: At the prevailing minimum wage of Rs 321 a day (Rs 9,630 a month), covering 25% of the families of the country will cost the exchequer a whopping Rs 700,000 crore a year. How the beneficiaries will be chosen is still unclear. The actual number could be much smaller – perhaps no more than 18% – if we count only those whom the National Sample Survey has placed in its residual category of ‘casual’ workers. But even casual workers make up 18% of the work force. So guaranteeing at least a minimum income will add Rs 500,000 crore to the central government’s expenditures. Not to be outdone, three days later, Piyush Goel – Prime Minister Narendra Modi’s acting finance minister – announced in his budget speech that the BJP-led government would introduce an immediate income subsidy of Rs 6,000 a year to all farm families with less than two hectares of land. The government has estimated that 12 crore farmers operate on less than two hectares of land. This will therefore add Rs 72,000 crore to the Centre’s annual expenditure. Goyal also unveiled an insurance scheme for unorganised workers in which the government will match the contributions of Rs 55 to Rs 100 a month of contributors starting from the age of 18, and guarantee them a pension of Rs 3,000 a month after they reach the age of superannuation. On the surface, this looks like a ‘pay as you go’ insurance scheme of the kind that continental European countries have adopted (but the UK and India have not). But it too bears the marks of haste and lack of study. In ‘pay as you go’ schemes, the annual payout by the insurance company is met by the interest earned on accumulated pension contributions, supplemented by current premium inflows. If such a scheme is open to anyone who is prepared to pay the required premium, a lock-in period of five to six years before contributors become eligible for its benefits is usually sufficient to make it solvent, without the need for any annual subvention from the exchequer. But the imposition of a Rs 15,000 ceiling on eligibility for benefits will almost certainly pervert its purpose. For it will provide the employers with a big stick with which to dissuade workers who want a pay hike beyond Rs 15,000: “Stay below it or face the loss of half your pension when you retire”. Unwittingly, therefore, Goyal has made a similar mistake to what the Speenhamland Act made in England in 1795, when it promised to supplement private wages with a ‘filler’ to raise workers’ living standards to the minimum acceptable level. All that the Act succeeded in doing was to allow employers to lower their wage rates as far as the Speenhamland commissioners would tolerate . The ‘Speenhamland Effect’ will also ensure that the total number of beneficiaries will far exceed the 10 crore that to the Modi government expects. There are more than 36 crore non-agricultural employees in the unorganised sector. Is there any good reason not to expect 30 crore among them to take out old age pension policies? If, or rather when, that happens, the government’s outgo on the scheme will rise to Rs 36,000 crore. If one adds to these two schemes the tax, and interest rebates that the interim finance minister has promised, this budget will increase budget spending by Rs 100-125,000 crore in a full year. Where will this money come from? Neither the Congress nor the BJP has said a word about how it will raise it, so one must conclude that they expect the annual increase in the government’s tax and non-tax revenues to cover the extra spending. But even a cursory look at the government’s finances will show that while this can happen when the economy is growing at 8-10% a year and industry at 9-12%, as it did between 2003 and 2011, it cannot when industrial growth is stuck at 3-4% a year. The harsh truth is that the government is broke. To balance its budget in 2017-18, it had to borrow money to meet close to 29% of its expenditure by borrowing money from the public through the sale of bonds by the Reserve Bank of India. The preliminary estimate for 2018-19 is only marginally lower. Had the borrowed money been going into the creation of infrastructure, as it did in from the ’50s to the ‘70s, it would have given no cause for concern because the additional assets it created would have generated more money and more jobs. But in 2017-18, very little of the borrowing is being done for investment. Of Rs 5,91,000 crore in 2017-18, Rs 529,000 crore was used to pay the interest on past loans. This is thus a self-contained circle that comes into being in which fresh debt is incurred to meet the cost of servicing past debt. In short, the government is running the largest Ponzi scheme of all time. The budget does contain a small allocation Rs 263,000 crore for its capital account. But this money does not create new fixed assets. Most of it goes into the maintenance of the fixed assets – roads, bridges, power stations and the like that were built in the past. In sum, very little of the money that the government now raises from taxpayers is intended to safeguard the future of the country by creating more and better infrastructure. Nearly all of it is being spent upon salaries and pensions of a bloated bureaucracy whose income is adjusted every five years for inflation, come rain or shine. What little remains is being spent on an ever-expanding web of social welfare programmes that create immediate relief and garner votes in the next election, but do nothing that will enable the poor to stand on their own feet. That security comes only with the acquisition of stable, permanent jobs. Neither Rahul Gandhi’s minimum income programme, nor Mr Modi’s Rs 6,000 a year to the superannuated farmer will assure his or her son, daughter or grandchildren a job. To revert to economists’ jargon, every rupee that the government spends on boosting consumption instead of investment, denies someone a job on some date in the not too distant future. Apart from the two Nehru family bastions of Amethi and Rae Bareli, the Congress is unlikely to win any seats in the Lok Sabha polls. Until a month ago, I had firmly believed that the BJP’s days in power were numbered. The threat it posed to the future of not only the nation but to rival political parties whose leaders it has been hounding since the day it came to power, had been recognised. I believed therefore that gradually but unmistakably, the outlines of a ‘grand coalition’ to save democracy had begun to emerge from the mists of the future. Other than pushing the BJP out, the coalition had no clear programme of action. It also had no leader whom it could pit against Modi on the billboards as the election approached. Most importantly, the distribution of constituencies between them still lay in the future. But one thing was beyond doubt: if it survived, the sheer weight of its numbers would push the BJP to an epic defeat. That defeat has begun to look distinctly less likely today. The reason is not second thoughts among the smaller parties, but the revival of overweening ambition within the Congress. The obvious sign is its January 13 decision to fight both the BJP and the SP-BSP coalition in UP. The Congress has presented this as a reaction to being shut out of UP altogether by the BSP-SP combine, which did not offer it a single seat. In reality, the BSP and SP’s action the previous day emerged from a failure to bridge the wide gap between the ten seats in UP that the Congress had initially demanded and the seven it was willing to settle for, and the two that the SP-BSP were prepared to give it – the traditional Nehru dynasty seats of Rae Bareilly and Amethi. 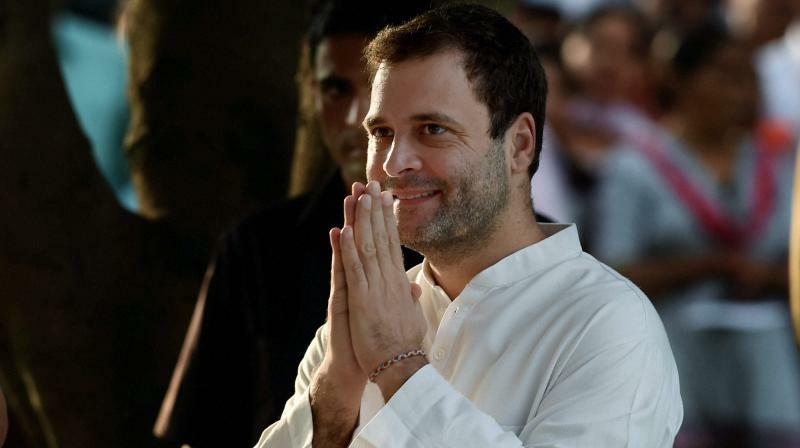 To breathe new life into the state party unit, Rahul Gandhi promised to bring new dynamism – what he described as a “440-volt jolt” – to the party’s organisation in UP. His secret weapon has turned out to be his sister, Priyanka Gandhi, whom he has appointed the general secretary for eastern UP. She will have the final say in the choice of candidates for eastern UP and will campaign vigorously for the party in that part of the state at the very least. Rahul will be relying upon her palpable honesty and commitment to the nation, her physical resemblance to her grandmother Indira-amma and her appeal to women voters, to turn the tide in the Congress’ favour. All these factors will undoubtedly play some role in the choices of the voters. But will they suffice to restore the grand old party’s pre-eminence in UP? To have a chance of taking a majority of the seats away from the BJP and SP-BSP combine, the Congress needs not only to raise its share of the vote from 7.53% in 2014 to at least 35%, but to take it equally from the BJP and the SP-BSP combine. One look at the voting pattern in eight statewide elections over the last twenty years, four for the Lok Sabha and four for the vidhan sabha, shows that the task is not well-nigh, but absolutely impossible. Let us take the BJP first. Its vote jumped from 17.5% in the 2009 Lok Sabha elections to 42.6% in 2014, and from 15% in the 2012 vidhan Sabha elections to 39.7% in the 2017 elections. These colossal increases were a product of the ‘Modi wave’, which was made up in equal parts of disappointment with the Congress during the last three years of UPA rule and belief in the grandiose promises that Modi was making. This wave has now visibly declined. Since almost 11 points of the 25% increase in its share of the vote in 2014 came from the Congress, Rahul and his advisors obviously believe that this can be brought back to the party. But one look at the BJP’s share of the vote in the 2017 vidhan sabha elections shows that this would be wishful thinking. For despite losing every single bye-election to the vidhan Sabha to the Samajwadi party between 2014 and 2017, and despite the shock of demonetisation, the BJP still held on to 39.7% of the vote in 2017, less than 3% fewer than in 2014, capturing 312 out of UP’s 404 vidhan sabha seats. The reason for the anomalous result was that since Mayawati did not contest any of the bye-elections to the vidhan sabha in this period, nearly all the BSP vote went to the SP. But Mayawati came back into the fray in 2017 determined to defeat not only the BJP but also the SP, all on her own, and fought the SP for every seat. To make matters worse she specifically tried to woo away the Muslim vote, by putting up 100 Muslim candidates. Akhilesh Yadav was forced to follow suit with a somewhat fewer number. This played into Amit Shah’s hands: all he had to repeat tirelessly throughout the campaign was that if the caste Hindus did not stand solidly behind the BJP, the Muslims (backed by Dalits or OBCs), would come to power. The coming together of the SP and BSP will harden this sentiment in UP. So it would be folly to expect any further decline in the BJP’s vote. But if the BJP’s vote is unshakeable, what about the SP and the BSP? The answer is that shaking this bastion of caste sentiment is even more difficult than shaking that of the BJP. The combined share of the two parties has ranged from 44-56% in the vidhan sabha and 42-51.5% in the Lok Sabha over the past 20 years. It is also worth noting that even during the Modi hurricane of 2014, the combined vote of the two parties was less than half a percent short of that of the BJP. In the 2017 state elections, despite being routed in the number of seats they gained, their share was 5.5% higher than the BJP’s. With Dalit votes having gone consistently to the Samajwadi party or the Rashtriya Lok Dal in bye-elections between 2014 and 2018, it is a safe bet that these votes simply aren’t transferable to any other party. Two other questions remain: Whom can Congress reach out to in UP with any hope of gaining their support and how strong is the Priyanka factor likely to be? As to the first, one group that may still not have made up its mind is the twenty-odd million young voters who will be voting for the first time this year. After eight years of jobless growth, demonetisation and the bungled GST, and after Modi has failed to fulfill any of the promises he made to the electorate in 2014, it would be surprising indeed if these were not looking for a new party with a different and credible programme for reviving the economy, restoring the rule of law, cleansing politics and making the state accountable to the people, to which they can anchor themselves. But even if Rahul Gandhi has such plans , he has not taken the people into his confidence so far and with the elections only months away, the time for doing so is all but lost. As for the second, bringing in Priyanka only months before the next elections is an admission of despair. Is the collective memory of the Congress so short that it does not remember what happened when it tried to do exactly the same thing with Rahul Gandhi in the 2007 vidhan sabha elections? On that occasion, Rahul had at least worked in UP as the secretary of the youth wing of the party and tried specifically to induct youth into the Congress. The Congress had convinced itself then too, that Rahul would work the miracle of reviving the Congress in Uttar Pradesh. Instead, the party’s vote share went down from 8.96% in 2002 to 8.61% in 2007. So what will fighting all the seats alone actually achieve for the Congress? The answer is brief and depressing – nothing. The most that it will get is the two seats it already holds and the SP-BSP combine was willing to offer it – Amethi and Rae Bareli. What then is it risking by going it alone? Again the answer is depressing – the very future of the congress party. In 2014, the size of the victory in both constituencies, but in Amethi in particular, was assured for the Congress by the Samajwadi party not putting up a candidate for either seat. If it and BSP jointly field a candidate now, there is a possibility that the BJP, which made a strong showing in Amethi in 2014, could walk away with the seat. Rahul Gandhi is therefore risking his own seat and the political future of his family, which means also of the Congress party, in the one state where he has the least chance of winning. Would even the most addicted and reckless gambler in a casino risk his money against such odds? The central bank and the finance ministry must be able to have a mature discussion on how much of the RBI’s reserves can be handed over to the government. By resigning as the Reserve Bank of India’s governor without a shadow of warning, Urjit Patel has delivered a coup de grace to India’s tottering economy. One does not have to be a psychic to divine what made Patel take this drastic action now. He was almost certainly instructed to transfer some of the central bank’s reserves to the finance ministry to meet its expenditure commitments. He had already refused point blank during the marathon board meeting of November 19. He must have suspected, or been warned, that if he did not agree, he would be directed to do so under Section 7 of the RBI Act. The forerunners of the deluge that Patel has let loose have not taken long to appear. On Tuesday morning, the rupee was trading 112 paise lower and on Wednesday morning, it opened 0.33% down from Tuesday’s close of 71.87. More falls are certain because most investors will conclude that, sensing the need to compensate for the losses in the current round of state elections, the BJP will use the central bank’s reserves to go on a spending spree to recover ground before the general elections next year. This may well be true. But even if, by a miracle, Patel’s resignation makes the government pause before raiding some of the RBI’s reserves, this is unlikely to save the Indian economy from the major problems that now stares it in the face. The trouble ahead is writ large in the Rs 1,140,000 crore worth of stalled and abandoned projects, in the Rs 1,00,000 crore worth of irretrievable bank debt, in the more than 200 large firms struggling desperately to stave off bankruptcy, in the country’s struggling small and medium industry, in the falling rupee, not to mention India’s stagnant employment growth. The resignation could not have come at a worse time. If there was a right moment for him to have registered his protest, it should have been on November 8, 2016, when Prime Minister Narendra Modi announced his controversial decision to demonetise Rs 500 and Rs 1,000 notes. But Patel has chosen to quit now, when two more years of suicidal economic policies have left the Indian economy in tatters and confidence abroad in the stability of the Indian rupee is at an all time low. The inescapable fact is that the Indian economy has been hurt over the past decade by the intolerably high interest rates inflicted upon it. Inflicted by a central bank so single-mindedly focused on curbing an inflation that was not caused by an excess of demand in the domestic economy. That futile exercise led to a crash in demand for housing and consumer durables, and pushed up the interest burden and cost of infrastructure projects till investors simply left them incomplete and walked away. Had anyone in the Modi government studied the experience of other countries it might have been able to find an antidote to India’s epidemic of bankruptcies long ago. Today, only one narrow avenue remains open. The first step is to lower commercial bank lending rates on medium and long term loans, of longer than three years to today’s core rate of inflation of 4%. Also, allow borrowers to refinance their existing debt at the new low rate and balance this by lowering interest paid on term deposits in the banks by 1 to 1.25%, in order to avoid a further constriction of bank revenues. Readers may wonder how a 1 to 1.25% average reduction in interest paid out by banks to depositors will reduce outflows by enough to offset the fall in revenue from a 6% cut in lending rates. There are three reasons: first, only 37% of the commercial bank loans by public sector banks is for three years or more. Second, most of the longer term loans within this category are now non-performing and therefore yield nothing. Finally, since even a 1% reduction in deposit rates will make some savings shift from the banks to the equity and bond markets, there will be a further reduction in the servicing cost of the PSB’s debt. An examination of the balance sheets of several companies that are now facing bankruptcy proceedings before the National Company Law Tribunal shows that while many will be able to start meeting their liabilities if they are allowed to refinance their loans, a substantial number, including some of the biggest investors in infrastructure, will still remain in the red. To salvage the most important projects among these, the government will need to follow the example set by Barack Obama in the US in 2009, when he asked the Federal Reserve to buy a controlling share in General Motors and Chrysler, to save them from bankruptcy and bring in new management to turn them around. Not only did he succeed, but the Federal Reserve was able to resell its shares in the market at a profit within four years. 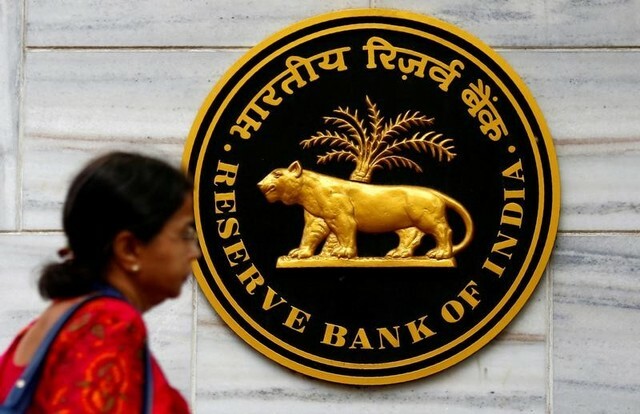 The second essential step, therefore, is to persuade the RBI to transfer some of the reserves it holds within the central bank to a Special Facility that will buy controlling shares in the most important and least severely indebted of the remaining companies. Contrary to the impression created by the recent controversy between it and the ministry of finance, the RBI not only has the funds to do the buying, but the need for credibility abroad will ensure that it deploys the funds responsibly, chooses companies to buy into that are really capable of being revived, and not succumb to political pressure in making its choices. Today the CGRR stands at 19.11%, and the Contingency Fund at 6.41%. The two together are therefore 1.52% above the limit prescribed by the Subrahmanyam committee and 10.4% above the Thorat recommendations. If the RBI brings the CGRR down to Thorat’s 12.26% but simultaneously raises the Contingency Fund to 9%, it will be able to create a Special Investment Facility (SIF) with the remaining 5.5% and invest in the shares of companies in dire need of recapitalisation, without damaging confidence abroad in the RBI. The surplus amounted to Rs.198,967 crores in 2017-18. 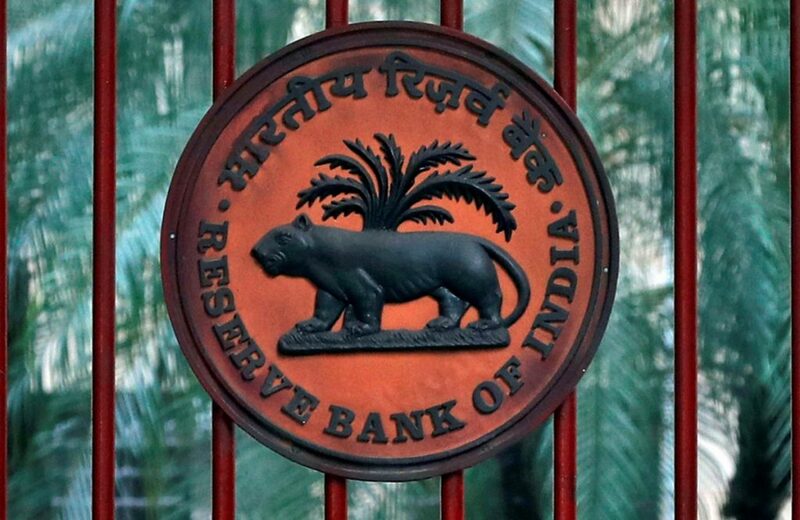 This facility can be further enlarged by discontinuing, temporarily, the practice begun in 2014 of transferring all of the RBI’s annual profits to the government to help finance its budget, and transferring it for two years into the SIF. The net surplus in 2017-18 was Rs 50,004 crores. So this would add another Rs 100,000 crores to this facility by March 2020. Asking the RBI to create the SIF will force it to take responsibility for reviving economic growth, something it has adamantly refused to do, even while it controls the one instrument that spells life or death for the economy. It will also have to understand the challenges industries faces both at home and abroad. It will be forced to bring top flight industrial managers, past and present, onto its board and perhaps also look abroad for talent and ideas. Over time, this will end the poisonous dichotomy that exists today, without any need for strong arm measures by the government. Two more bridges will still remain to be crossed. The first is how to make the commercial banks actually pass through the RBI’s cuts in policy rates to their borrowers. 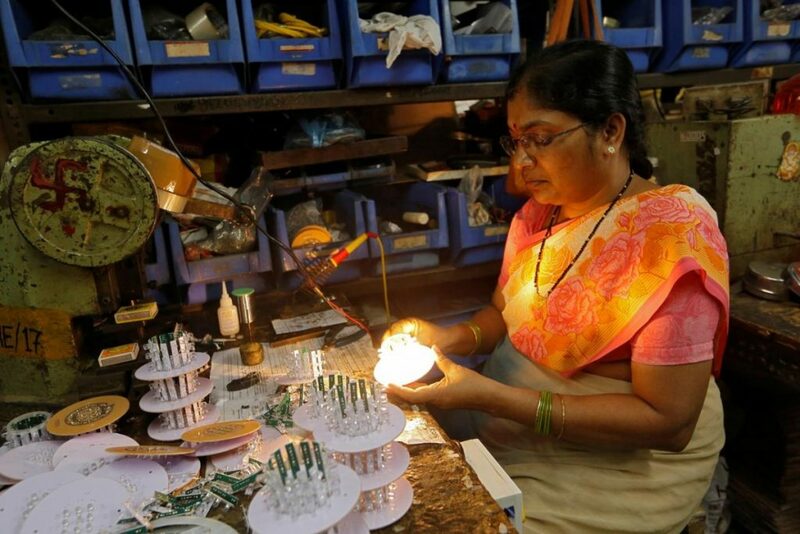 They have now enjoyed autonomy in setting their minimum lending rates (subject to guidelines set by the RBI) for several years, and may therefore drag their feet in doing so, as they did two years ago. The second is that the RBI lacks any experience of running an industrial or infrastructure enterprise, so may baulk at taking the responsibility for doing so. These are real challenges that will have to be met with circumspection, but they cannot be allowed to block the reforms altogether. As to the first, the fact that the bad loans are almost entirely concentrated in the public sector may prove a blessing in disguise, because these are more likely to fall in line with the government’s wishes. Among them, the most stressed banks will do so first, because they will have the least to lose. After that, competition for business will make the rest fall in line. As to the second, the RBI will have to hire retired professional managers from the private and public sectors to sit on their boards and bring in internationally renowned consultants to assist them. This will start a learning process within the bank that will end the dyarchy that has developed between it and the ministry of finance. This learning process will take time, but the alternative, of allowing the present bankruptcy procedures to continue, will take much more. To save the future the world does not need carbon dioxide capture and removal. All it needs is a ban on the setting up of new coal-based power plants, and stable price agreements with producers of synthetic fuels. In a media dominated age, no international conference is allowed to end in failure. The Katowice climate summit is no exception. Michal Kurtyka, the Polish President of the conference, admitted that finding global consensus on the issues discussed at the summit had been “politically fraught”, but claimed nonetheless that “through this package, you have made 1,000 little steps forward together”. The truth is the exact opposite. The Katowice summit was a resounding failure. The size of the failure has to be measured against the urgency of the challenge it refused to face. A bare six weeks earlier, the IPCC had warned that the world had to reduce net carbon emissions by 45% by 2030 and bring them down to zero by 2055, if it wanted to keep the planet livable in the 21st century. But the conference turned its back on the warning. There was no agreement on financing, and little of it even on the verification methods to be used for assessing claims of carbon reduction. even There was no consensus even on whether the conference should accept a reduction of the limit to global warming by 2100 from 2 degrees Celsius to 1.5 degrees Celsius. Why has the world buried its head in the sand ? The short answer is that it does not know what else to do. Nearly everyone is blaming US President Donald Trump, but his denial of climate change is only a brusque way of saying that he would rather not know about something that he cannot prevent. Emission reductions of this magnitude seem impossible because they can only be achieved by a rapid shift out of fossil fuels. But no one knows what to replace them with. This is not because renewable energy technologies that draw their power from the sun do not exist, but because none of the 24 climate summits held since 1994 ever discussed technology. The job of finding alternatives to fossil fuels was left to the free interplay of market forces. A Clean Development Mechanism was set up under the Kyoto Protocol to encourage the search for alternatives. But in the first 10 years of its existence it reduced greenhouse gas emissions by an estimated 1.58 billion tonnes. In the same period, human-induced CO2 emissions increased by 10 billion tonnes. Today it is apparent that the market has led us astray. The only renewable energy technologies that it has promoted vigorously are wind and solar photovoltaic power. This despite the common knowledge that these can only limit and not replace fossil fuels because they can neither supply guaranteed, round the clock power, nor the process heat that industry consumes in prodigious quantities. Had technology, and not target setting, been the focus of COP summits, the world would have known that technologies that can harness the energy of the sun for meeting all the three needs — power, heat and transport fuels — already exist and have been now refined to the point where they are fully competitive with fossil fuels. The two that can do so virtually without limit are Concentrated Solar Thermal (CSP), as opposed to photovoltaic (SPV) power, and biomass gasification, as opposed to fermentation. Far from being new, these have been in sporadic use for between four and ten decades. The first CSP power station that fed electricity into the grid came up in California in the 1980s. The first plant that turned municipal solid waste into methanol — a clean and superior transport fuel — came on stream in the USA in 1922! CSP power stations solved the problem of storing the energy of the sun at night in the late 1980s. The first power station to supply round-the-clock power to a small town near Seville in Spain came on stream in 2011 and has been doing so for seven years. The cost of generation from CSP plants has fallen almost as fast as that from photovoltaic plants. The most recent power purchase agreements for such plants have been signed in Chile and Dubai for 5 to 6. 7 cents per kwh. That is half the average cost of power in the US in 2017, which was 12.06 cents. What is more important, these are lower than the cost of power generation by new coal based power plants. So the way is now open for more governments to join the 30 countries have already agreed to put a ban the establishment of new coal based power plants. Most of the world’s attention has been focused so far on power generation. But there are now several proven, versatile, technologies that can also produce transport fuels and petrochemicals from literally any crop residue or waste biomass. They do this by first gasifying the biomass to obtain a mixture of carbon monoxide and hydrogen called synthesis gas, and then synthesise these into the desired fuel or petrochemical, using appropriate catalysts. Unlike solar thermal power, these technologies have not so far got off the ground because the investment in them, that has been planned repeatedly since the early 2000s, has been repeatedly postponed or abandoned because of steep, albeit temporary, falls in the price of oil and natural gas. These have made it impossible for the investors to get the long term purchase price agreements that will make their investment secure. To save the future, the world does not need carbon dioxide capture and removal. It does not need to pump sulphur dioxide into the atmosphere to reduce sunlight. It does not need hundreds of billions of dollars of subsidies for expensive renewable energy technologies. All it needs is a ban on the setting up of new coal-based power plants, and stable price agreements with producers of synthetic fuels that are linked to the long term average cost of oil and gas. These will suffice to make private capital flow as spontaneously into solar thermal and biomass energy projects as it is doing into wind and solar PV projects today. What Pakistan has essentially done at Kartarpur is to ask for India’s help in ending its own impossible predicament. When opportunity comes knocking, unbidden, to one’s door, a wise person does not let it slip away. India has done this twice in the past 70 years: First when it shooed away American companies that came to Asia in search of a cheap labour platform to manufacture goods for the world market, and sent them on to southeast Asia. It did this a second time when risk averse advisors in both India and Pakistan succeeded in delaying the fleshing out of the Manmohan Singh-Pervez Musharraf framework agreement to end the Kashmir dispute signed in Delhi in 2005, till Musharraf lost his power to push it through the Pakistan national assembly in 2008. The monumental silence with which Prime Minister Narendra Modi greeted Pakistan’s offer three months ago, the curt reassertion last week by foreign minister Sushma Swaraj that India would not attend the SAARC summit in Pakistan, and the Congress leadership’s tepid reaction to the initiative, has made it likely that we will send it away yet again. The reason for the Modi government’s lack of enthusiasm is written in saffron across the sky: having wrecked the economy, failed to create any jobs and alienated each and every one of India’s neighbours, it has nothing left to fall back upon in its bid to win the 2019 general elections except the whipping up of paranoia towards Muslims, towards Pakistan and towards China. But how does one explain the ambivalence of the Congress? For was it not Prime Minister Manmohan Singh who said in 2007 that his dream was to be able to have breakfast in Delhi, lunch in Islamabad and dinner in Kabul on the same day? Was it also not Singh who fashioned the Delhi Framework Agreement? If these initiatives were not popular, why did the Congress win the 2009 election with a near-majority of its own? The opportunity created by Kartarpur Sahib must not be allowed to slip away, for it is born of radically different and deeply enduring roots. While previous peace initiatives originated in the corridors of Islamabad and New Delhi, this one has originated in a small village close to the India-Pakistan border. While previous negotiations have been carefully planned and orchestrated, this one is unplanned, disorderly and very largely spontaneous. Finally while all previous initiatives have started at the top of the social and political pyramid, this one has been born out a yearning among the poorest people on both sides of the Punjab border for peace and reconciliation. The gurudwara at Kartarpur Sahib was established by Guru Nanak in 1522. It was there that he lived for 18 years, wrote the Guru Granth Sahib and, in all probability, died. It is therefore the second holiest shrine in the Sikh religion. Partition forced the Sikhs of Punjab to one side of the newly created border, but left Kartarpur Sahib a bare three km on its other side. As a result, for 70 years Sikhs have been going in their hundreds of thousands to the closest point on the border, from where they can see the domes of the gurudwara, to pray. 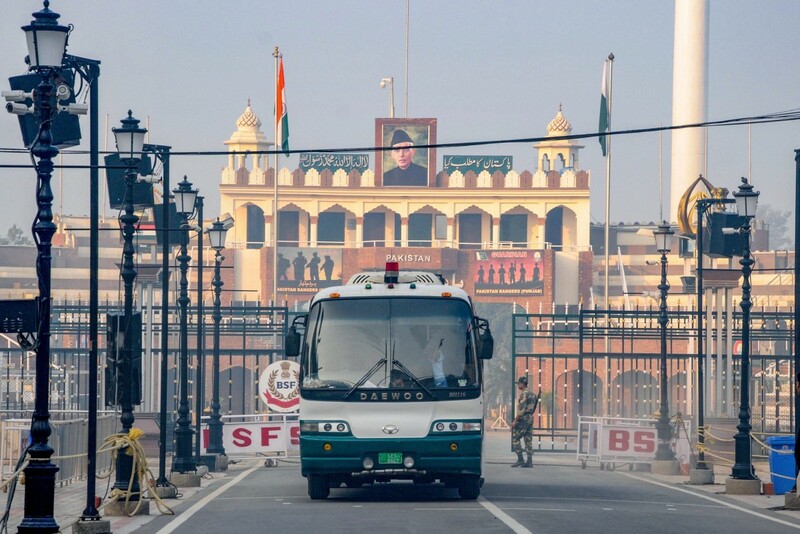 The idea of a visa-free corridor from the border to Kartarpur Sahib was first mooted by Prime Minister Atal Bihari Vajpayee during his bus journey to Lahore in February 1999. Despite the Kargil War, the Nawaz Sharif government responded positively the next year, but the Pakistan Army, which was smarting from its defeat in Kargil, was in no mood for compromise. The spate of ISI-backed terrorist attacks on high value targets in India that followed and eventually triggered Operation Parakram, and the ISI’s reckless use of mujahideen in Kashmir put an end to any further discussion of the subject. The possibility of a corridor was raised by Navjot Singh Sidhu three months ago when he attended Imran Khan’s swearing in as prime minister. Sidhu had gone in his personal capacity, as one of the three Indian cricketers whom Khan had invited. According to his account of what followed, not only did Khan leap at his suggestion but General Bajwa, the Pakistan Army chief, who was present at the function, immediately offered to build a barricaded corridor from the border to the gurudwara. This would prevent any actual contact between the pilgrims and people in the intervening area. It was this spontaneous offer that made Sidhu give Bajwa a Punjabi jhappi. But why should General Bajwa have gone that step further? A knee-jerk assessment would be that he saw it as a propaganda opportunity and, in case Delhi reacted negatively, a chance to rekindle disaffection in Punjab. But Khan made it crystal clear in his speech and press conference that he and the army are “all on one page” in wanting to mend ties with India. Is such a radical change of heart in the Pakistan Army really possible? The answer, with suitable caveats, is ‘yes’, because seven decades after independence, its policy of jumping from the back of one circus-horse to another, while keeping its gaze locked firmly on Kashmir, has reached its pre-destined end – there are no more horses left to ride. Thirty-five years ago, General Zia-ul-Haq felt that he could afford to adopt a forward policy because Pakistan’s GDP had been growing at 5-6% percent per annum for three decades; it was an indispensable ally of the US in the latter’s proxy war against the Soviet Union in Afghanistan, and therefore had no dearth of foreign exchange to buy military toys. Today’s Pakistan could not be more different. It has been chastened by its failure to spark secession in Punjab and Kashmir: Despite every pain that India has inflicted on Kashmir, a 2009 Chatham House poll in the Valley showed that while a majority of its people wanted a radical change in Kashmir’s relationship with India, only 2.5% to 7.5% wanted to join Pakistan. Not only has it lost the patronage of the US, but the Donald Trump administration, and most of the world, considers Pakistan to be a dangerous and unpredictable breeding ground for terrorists, and the principal threat to Pax Americana in Afghanistan. Islamabad has attempted to replace the US with China and Saudi Arabia as its political, military and economic sponsors, but China has been far less tolerant towards its use of terrorism to realise its regional aspirations than Washington was three decades ago. This is because, contrary to the prevailing impression in India, Beijing’s huge investment in the Karakoram-Gwadar transit corridor is, like other projects of its Belt-Road Initiative, more defensive than offensive. It is primarily intended to create one of several backdoors for its trade with Asia, Europe and Africa to pass through in case the US and its allies decide to block the sea lanes through which most of its imports and exports currently pass. Its fear of the US’s naval power is understandable, because its dependence upon trade for economic growth is the highest for a large industrial economy that the world has ever known. China’s dependence on trade to generate employment is even greater. So from the early days of its investment in Pakistan, Beijing has been putting a quiet but unrelenting pressure on Pakistan to crack down on terrorist groups and maintain peace with India, especially in the Karakoram region. Till the end of February this pressure was private and bilateral. Then, on February 23, China stopped shielding Pakistan and agreed to put it on the “grey list” of the Financial Action Task Force, a global body created to monitor the financing of terrorist organisations all over the world. Pakistan was put on the list in June. It now has till June 30, 2019 year to show that it has taken decisive action against organisations in the country that are sponsoring terrorist activities. This withdrawal of support could not have come at a worse time for Pakistan, for it is facing its worst economic crisis in a decade. In 2017-18, it recorded a $19 billion balance of payments deficit, amounting to 5.7% of its GDP. The Pakistani rupee has depreciated by 20% in less than a year and its foreign exchange reserves have fallen to under $10 billion. Till now, Islamabad has relied upon loans from China and Saudi Arabia to remain solvent, but Saudi Arabia too agreed to put Pakistan on the grey list last February. Pakistan has therefore been left with no option but to go to the International Monetary Fund for another – its 13th – bailout. That loan will now almost certainly come with conditionalities that will cross the border between economics and politics. Finally, the Pakistan Army has been locked in a civil war for more than a decade. It has managed to establish a semblance of peace in the tribal areas by denuding its Indian border of troops. But insurgency and sectarian killings have continued to grow in other parts of the country. It would be surprising indeed if it had not begun to look for a way out of the morass. To the army high command too, therefore, peace with India must have begun to look like the silver bullet that can end most of its miseries. The is almost certainly why General Bajwa seized the olive branch that Sidhu innocently extended at Khan’s swearing in with such alacrity. What Pakistan has essentially done at Kartarpur, therefore, is to ask for India’s help in ending its own impossible predicament. Peace with India will remove the very ground on which much of the Islamist extremism which has spawned terrorism feeds in Pakistan. Since these groups gain legitimacy by posing as the champions of the oppressed in Kashmir, finding a solution to the dispute that Islamabad can present to its own people as a fulfilment of its commitment to them is the best way forward. 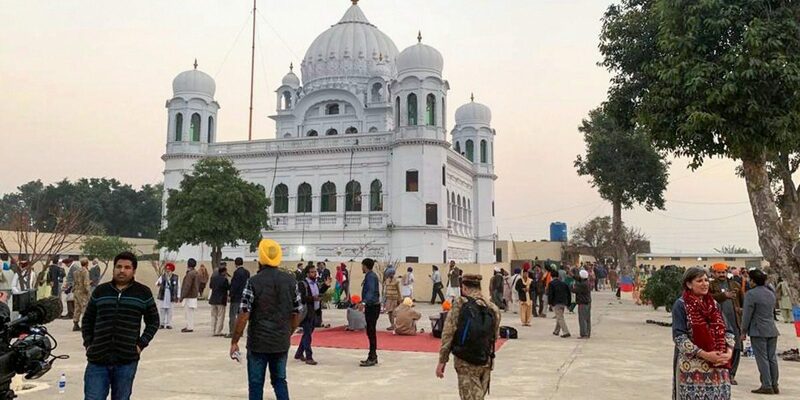 It would therefore be folly for India not to seize the opening that Kartarpur Sahib has created to end the Cain versus Abel conflict that has held both countries back, while the rest of Asia has raced ahead. An immediate cease fire along the Line of Control in Kashmir, the resumption of talks, involving Kashmiri leaders in the deliberations, and an agreement to review the Manmohan-Musharraf framework agreement will get the ball rolling towards peace. The Emergency may be the most controversial part of her legacy but Mrs Gandhi’s greatest contribution to India was the way she handled the economic, political and foreign policy challenges the country faced after 1966. This article was originally published on November 19, 2017. It is being republished on November 19, 2018 to mark Indira Gandhi’s birth anniversary. Indira Gandhi is the most controversial prime minister that India has had. A third of a century after her tragic and untimely death, an older generation of Indians remembers her mainly for India’s victory in the 1971 war, and the Emergency. Scholars have also accused her of undermining democracy by splitting the Congress in 1969, repeatedly sacking chief ministers to concentrate power in her own hands, and splitting the party a second time for the same purpose in January 1978. But the poor of India remember her for her programme of ‘Garibi Hatao’ and still call her ‘Amma’. On the foreign policy side, all of us, without exception, remember with pride the way in which she stood up to Nixon and Kissinger during the run-up to the Bangladesh war. . . So vivid is the image we have of the later Indira that very few remember the young and unsure, woman who came to power after the sudden death of Lal Bahadur Shastri in January 1966. Even fewer, therefore, appreciate the difficult circumstances in which she did what she did and her immense contribution to stabilising the nascent India she inherited. For in January 1966, the country was in the grip of a multi-faceted crisis, and did not even know it. The production of food grain had hit a plateau in 1961. The resulting food shortage had combined with two wars in 1962 and 1965, and the worst drought of India’s history in 1965, to generate the kind of inflation the country had never known and therefore had never dealt with. Inflation and a closed economy had landed us in a foreign exchange crisis – the first of many. Devaluing the rupee was the only way forward, and the World Bank had been urging India to do this since 1961. But the Nehru and Shastri governments had procrastinated till India had run out of time. As if this was not enough, two wars in four years had emptied India’s coffers. And two successive droughts had brought the poor to the verge of starvation, to be saved only by PL 480 wheat from the United States. The challenges she faced within the party were no less severe. 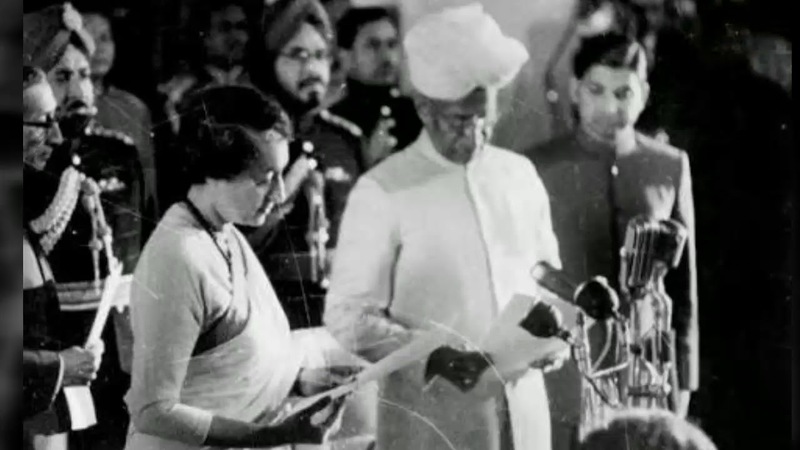 In 1966, most people believed that Indira Gandhi had been chosen as prime minister because of her father’s charisma and because the “syndicate” believed that she would be more malleable than her seasoned opponent, Morarji Desai. But the party’s organisational leaders were also disenchanted with Nehruvian socialism. Huge sums of money had been sunk into heavy industries in the public sector that had yet to yield even a notional surplus on investment, let alone profits and dividends that could be ploughed back into growth and employment. The increasing uncertainty about finding jobs had created a rising wave of discontent among students. In mid-1966, this had turned violent. These challenges could not be met without taking hard decisions, but the country was not aware of the need for them because it did not know that it was in a crisis. The glow of independence had not faded. The 1950s had been a honeymoon period in which almost nothing went wrong: food production grew rapidly because cultivation was extended to most of the remaining arable land in the country. Industrialisation was not hindered by foreign exchange shortages because of the sterling balances inherited from the war. 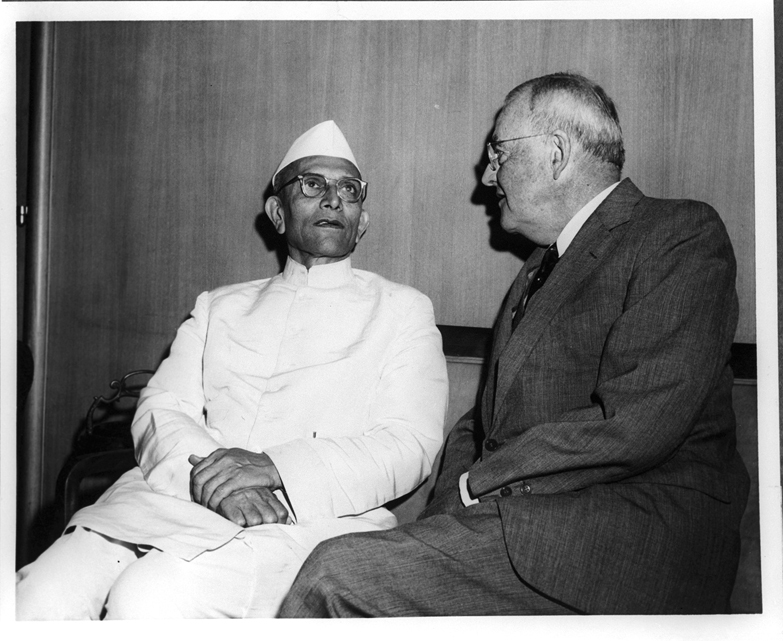 Nehru had carved a niche for India on the world stage. People, therefore, trusted the government implicitly and could not imagine that the difficulties they had faced were anything more than temporary. Indira Gandhi’s first important decision therefore shattered this cocoon of security. In June 1966, she devalued the rupee by 57.5%. The move shocked the country and aroused bitter criticism in parliament from both Left and Right. Had it succeeded in rebalancing the economy speedily, her future economic policies might have been very different. But first, a $900 million aid package that the World Bank had promised to meet the increased cost of imports till exports picked up was held up in the US Congress. Second, India was hit by its second consecutive, and equally severe, drought in 1966. As a result, by the time the promised aid began to trickle in, prices had risen by a full 32% and neutralised the price advantage that devaluation had been intended to give to India’s exports. The devaluation did eventually boost India’s exports. From barely one per cent a year between 1952-53 and 1965-66, export growth jumped to 14% a year between 1968-69 and 1982-83. The Green Revolution, which had been piloted through a recalcitrant Congress by food minister C. Subramaniam, also took off in 1967. So good was the response of the economy in the years that followed that despite another drought in 1972 and a four-fold rise in oil prices the next year, India began to record balance of payments surpluses in January 1976, and continued to do so till the second oil price hike in 1979-80. But it took two years for this recovery to begin. By then, the Congress had lost four major state assemblies and come within 10 seats of losing its majority in parliament in the 1967 general elections. This, and a pronounced leaning towards the left-wing of the party under the influence of ideologues like P.N Haksar and Mohaan Kumaramangalam, was the true reason behind the Congress split of 1969. The spark that set it off was the selection of a successor to President Zakir Husain after his untimely death in 1969. The syndicate chose N. Sanjiva Reddy over the incumbent vice-president and briefly acting president, V.V Giri, and did it rather obviously without consulting Mrs. Gandhi. She had every good reason to oppose this. First, V.V Giri was already the acting president. Second, choosing Reddy broke an immensely important unwritten convention drawn from Westminster’s democracy, that like the British constitutional monarch, the Indian head of state had to be an eminent, non-political, person. V.V Giri fulfilled this requirement because, as vice-president, he had not only been far removed from current politics but was a highly respected veteran trade union leader. Sanjiva Reddy was, on the other hand, very much a practicing politician. 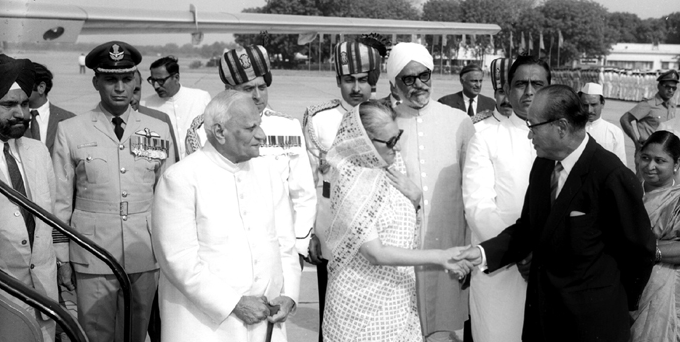 Despite this, Indira Gandhi first sought to avoid a showdown with the syndicate. She filed Reddy’s nomination but when Giri decided to compete as an independent, announced that she preferred an open vote. Had the syndicate agreed, there would have been no split in the party when Giri won. But by then, its members had the bit between their teeth so when Congress president S. Nijalingappa found that two-thirds of the Congress parliamentary party had declined Indira Gandhi’s implicit invitation to revolt against the organisation, he took the unprecedented step of expelling the sitting prime minister from the Congress party, nor renamed Congress (O) while Indira Gandhi’s party was called Congress (R). In the March 1971 general election, she won handily, securing 350 seats to the 51 seats won by the ‘National Democratic Front’ led by the Congress (O), Bharatiya Jan Sangh, the Swatantra and socialist parties. Over the years, many personal motives have been ascribed to Mrs. Gandhi for defying the collective will of the party organisation and refusing to resign. But history will back her because she was defending not only the primacy of the prime minister over the party but the party in parliament over the party organization. As the eminent French political scientist, Maurice Duverger, pointed out in his classic 1957 work Party Politics, these are the two fundamental principles that distinguish democratic from ideological political parties. 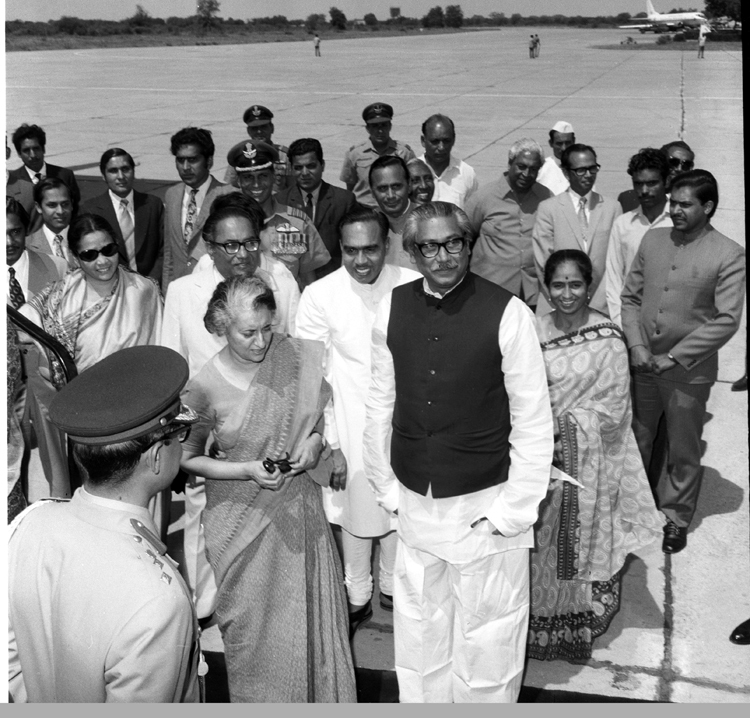 Indira Gandhi’s determination to be a prime minister in substance and not only in form was vindicated within only days of the 1971 election, when the Bangladesh crisis erupted. Only a leader with a clear vision of India and immense national pride would have been able to resist the subtle blandishments of western leaders who wanted India to absorb the 10 million refugees from East Pakistan and let sleeping dogs lie. The members of the syndicate were all seasoned politicians, but they were, in the end, provincial leaders without this vision. It is, therefore, doubtful whether they would have remained unmoved. Indira Gandhi, by contrast, had inherited a clear-cut idea of India from her father, and developed it through her own education and experience. So she had no difficulty in giving the West a clear-cut warning of her intentions and developing a multi-pronged strategy to safeguard India’s security. Contrary to a near-universal belief, Indira Gandhi did not have her heart set upon breaking up Pakistan from the very beginning. Confronted by a seemingly endless flow of refugees into West Bengal, Mrs. Gandhi first did her best to persuade General Yahya Khan to allow the Awami League of Sheikh Mujib-ur-Rehman to form the government in Pakistan. When she failed, she sent emissaries to all major countries, and herself went to several European capitals and to Washington, to make they put pressure on Pakistan to release Sheikh Mujib. But to insure against failure she made the army train the Mukti Bahini, and draw up contingency plans to invade East Pakistan if it became necessary. This was her second use of both stick and carrot to achieve her goal, the first having been the election of V.V Giri as president. In both cases, force was her weapon of last resort. The Bangladesh war, and the Congress’s sweeping victory in the state elections a year later, marked the high point of Indira Gandhi’s prime ministership. The Emergency is considered the lowest. But as I have argued earlier in these columns, it was the product of her understandable, and probably justified, belief that stepping down from the prime ministership then would have left the country in even greater turmoil than it already was in. She also redeemed herself in the peoples’ eyes by resisting every exhortation to extend the Emergency and holding a fresh general election in 1977 despite the near-certain knowledge that she would lose. Narendra Modi is seen as being unflinchingly loyal to his subordinates. In contrast, recent events have shown people that Rahul Gandhi is not a fighter. Before commencing any analysis of the Gujarat and Himachal Pradesh assembly elections, it is necessary to lay one ghost to rest. The Election Commission needs to be congratulated on having achieved 100% transparency in its conduct of the elections, and putting a verification procedure in place that will become the gold standard for the conduct of elections in the future. By doing this, it has lifted the darkest shadow that had been hanging over Indian democracy since allegations of possible fraud surfaced after the Punjab and UP assembly elections – a fear in the populace that it was in danger of being deprived of its last weapon for holding its rulers accountable for their misdeeds. It is not surprising, therefore, that days after the BJP’s victories in Gujarat and Himachal, celebrations are still going on at the BJP headquarters in Delhi and various regional capitals while, in sharp contrast, the Congress has begun to look for scapegoats to pin its defeat upon. Congress former minister Veerappa Moily has led the charge by singling out Mani Shankar Aiyar and Kapil Sibal as the prime architects of its defeat. “Of course, these two statements, by Kapil Sibal (on the Ram mandir) and Mani Shankar Aiyar (on Prime Minister Narendra Modi being a “Neech kisam ka aadmi“) have harmed the party,” he said, because they have allowed Modi to take “maximum advantage” of them. Had it not been for these two statements, Rahul Gandhi’s spectacular performance in the campaign in Gujarat would have yielded victory, he added. Congress spokespersons have brushed off their defeat in Himachal Pradesh as a typical anti-incumbency vote. They have not asked themselves why anti-incumbency should have raised its head against the Congress after a single five-year term in Himachal, but not against the BJP after five consecutive five-year terms in office in Gujarat. The short answer to this question is the disheartening contrast between Modi’s ruthless will to win at any cost and Rahul’s tepid, fumbling leadership being passed off as ‘gentlemanliness’. Moily has been joined in this by Rajasthan ex-chief minister Ashok Gehlot. Soon others will join in, and with every word they speak they will dig the Congress’s grave a little deeper. Indeed, the BJP’s spokespersons have already seized upon Moily and Gehlot’s attacks on the ‘rebel duo’ as attempts to save a leader who cannot save himself and is therefore unfit to lead a nation. The contrast is all the more striking because in three and a half years of ruling India, Modi has never admitted that he has made a single mistake. His almost-daily statements during these years offer a chronicle of colossal policy blunders and unfulfilled promises. Modi promised a return to high growth – ‘achhe din‘ – but only statistical legerdemain has allowed him to hide the fact that GDP growth in the April to June quarter of the current year has been lower than at any time since 2001. No such hiding has been possible, however, with industrial growth – which has continued to sink beyond the abysmal level it had reached in the last two years of UPA’s rule. Even with the vamped-up data, it is now below 3%. Also Read: Rahul Gandhi Is Congress President. Now What? Modi promised the youth ten million jobs a year, and has failed to create even one million. Jobs created in eight labour-intensive industries, which can be taken as a proxy for the rest of the economy, fell from 9.3 lakh in 2011 to 1.35 lakh in 2016. 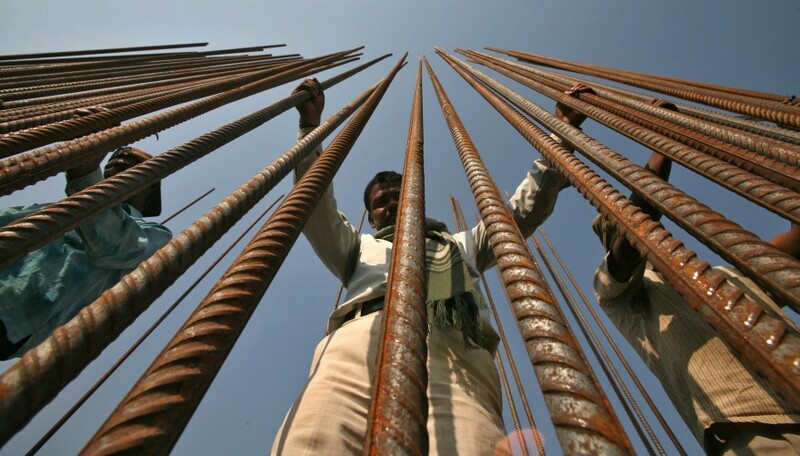 Modi promised to revive industry but has speeded its descent into bankruptcy. He promised to destroy black money through demonetisation but unearthed less than 1% of it. Instead, he destroyed at least 300,000 small industries in the unorganised sector, sent the construction industry into a coma and forced tens of millions of migrant workers to flee the suddenly jobless towns and start making desperate bids to enrol themselves in MGNREGA in their home villages. He carried through the UPA’s plan to consolidate all central and state indirect taxes into a single Goods and Services Tax but bungled it so badly that he pushed unorganised industry and trade to the edge of bankruptcy. But there is one thing Modi has not done: he has never admitted that anything he or his government had done was wrong. He has never backtracked; he has never shifted blame; he has never said ‘sorry’. He could have easily blamed Arun Jaitley for the poor economic performance, Suresh Prabhu for the huge rise in train accidents, Rajnath Singh for the return to civil war in Kashmir. He could have ‘let it be known’ that the bureaucracy was responsible for the failure of the Swachh Bharat and Make in India programmes, the dilatoriness of the judiciary for the paltry rise in India’s ease of doing business ranking and the RBI for the rising volume of abandoned infrastructure projects. But the people have chosen to believe him. This is not because they have been taken in by Modi’s inflated rhetoric, but because they have chosen to forgive him. What they are seeing in him is an unflinching loyalty to his subordinates. And they recognise this as the hallmark of a born leader. Compare this to the way Rahul and the Congress party have treated Aiyar and Sibal, both of whom were cabinet ministers in Manmohan Singh’s government. When Modi twisted Aiyar’s remark into a caste slur, he did not counterattack by exposing Modi’s misrepresentation (to use a word that fits into the Congress’s heritage). Nor did he remind Gujaratis that both B.R. Ambedkar and Jagjivan Ram were members of the Congress party; that it was the Congress that had made SC/ST reservation a part of the constitution and that it was the Congress that had put up a Dalit, Meira Kumar, to be the president of India last June. Instead, he went into a blind panic, hastened to distance himself and the Congress from Aiyar, and then asked him to apologise to Modi. The lesson that Gujarat, and one suspects India, learned was not that Rahul is a gentleman, but that he is not a fighter. Not only will he not defend his foot soldiers on the battlefield, but he is also far more likely to cut and run at the first whiff of grapeshot. The contrast between him and Modi could not, therefore, be more stark. Not surprisingly, Modi was the first person to sense this. That is why he made Aiyar the single point focus of every speech during the rest of his campaign, accusing him of going to Pakistan to take a supari (contract) for arranging Modi’s assassination; of hosting a “secret” dinner for Pakistani officials to meet high-ranking Indian leaders, including the former prime minister and vice president of India; and so on ad nauseam. He did this because he knew that, having thrown Aiyar to the wolves, the Congress could only sit and watch as he and other BJP leaders savaged him into pieces till there was nothing left of him to tear into bits. Modi knew, moreover, that every time he mentioned Aiyar, his audiences would think: Congress, thus the appeasement of Pakistan and therefore appeasement of Muslims in general. So he threw truth, decorum and constitutional propriety to the winds and went for the Congress’s jugular, while Rahul and his sycophantic advisers stood on the sidelines and watched. Rahul’s lack of leadership qualities is the real reason why the Congress lost in Gujarat. In the 2014 Lok Sabha elections, the BJP’s share of the vote had risen to a mammoth 60%, from 48% only two years before, because Congress voters simply did not cast their vote. As a result, Gujarat recorded the fifth-lowest voter turnout, at 63.7%, in 2014. This was 7.6% below the turnout in 2012. This year, both the Congress and the BJP’s share of the vote reverted to more or less what they had been in 2012, but its distribution was hugely different. The voting pattern shows that there was a huge anti-incumbency surge in Saurashtra and a smaller one in north and central Gujarat. Only in Bhuj, and south Gujarat, did the BJP vote remain utterly unshaken. But the voting pattern also shows that the revival of the Congress vote remained incomplete, for inspite of the large anti-incumbency sentiment revealed by the pattern of victories and defeats, only 4.7% of the 7.6% who had boycotted the polls in 2014 returned to vote. Had even a small fraction of the rest done so, it is possible that the BJP would have lost its majority, for the BJP scraped through to a victory in nine constituencies in north and central Gujarat, and seven in Saurashtra, with margins of 5,000 or fewer votes. Nine of these were won with less than 2,000 votes. It is these seats that could have gone to the Congress, had the voters fully regained their confidence in the Congress. The targeting of Aiyar occurred so late in the campaign – when the first phase of voting was already over – that it is impossible to tell how much it affected the morale of anti-BJP voters and dissuaded them from going out and being counted. But it could hardly have raised it, or reinforced their confidence in Rahul’s capacity to lead the nation. That is why “seasoned leaders” like Moily and Gehlot have been pulled out of mothballs to defend Rahul’s ‘gentlemanly’ behaviour. But these are has-beens whose names have not even been heard in the past year. What Rahul needs to learn from is the silence of the leaders who have been most active in bringing the Congress back into the media limelight, such as P. Chidambaram, Sibal, Manish Tiwari, Jyotiraditya Scindia, Sachin Pilot and Shashi Tharoor. They know the damage, tantamount to suicide, that Rahul and his cronies have inflicted not only on the Congress but also on India. Because after his tame acquiescence to Modi’s destruction of him through the instrumentality of Aiyar, there is once more no leader visible on the ‘secular’ horizon, who can make ordinary Indians feel safe as Modi has managed to do. With 78 of the largest companies in the country are facing dissolution under the Indian Bankruptcy Code, India’s economy is heading for a meltdown. Fitch Ratings has raised its estimate of India’s expected growth rate in 2018-9 to 7.8%. For anyone who has the least knowledge of business conditions in India today, this can only be a sick joke. For India’s economy is heading for a meltdown – 78 of the largest companies in the country are facing dissolution under the Indian Bankruptcy Code. Of them, 20 have already been declared insolvent and sent to the National Company Law Tribunal for dissolution. Another 30 companies, all in the power sector, are also facing the guillotine because the Allahabad high court has denied them more time to sort out their woes. The debt of these companies alone amounts to Rs 140,000 crore. Among them are three giant power plants, the 4,000 MW Coastal Gujarat Power of Tatas, Adani power, Mundra and Essar Power. They are bankrupt because they had the temerity to base their plants and have been denied the right to set tariffs that will cover the higher cost of imported coal, by the Supreme Court of India. Yet another 92 companies are on the chopping block because they are more than 180 days behind on their loan repayments. And as if that were not enough bad news, loan defaults by small companies have also doubled in the past year, signalling an imminent crisis in that sector as well. The sickness has spread to the private financial sector. Infrastructure Leasing and Financial Services (IL&FS), a financial giant, has just defaulted on its interest payments and sent the stock market into a tailspin. Foreign investors have been leaving the Indian money market in droves: the rupee plunged to 71.7 to the dollar on September 20, against 65 on March 31, less than six months earlier. The RBI has halted the slide by raising the repo rate by a full half percent. But how long will its finger keep the dyke from bursting? Who, or what, is responsible? In a note he submitted to the Estimates Committee of parliament earlier this month, former RBI governor Raghuram Rajan has identified two causes: an “irrational exuberance from 1994 till 1996” generated in promoters (of new projects) by the prolonged spell of rapid economic growth that began in 2003, and the government’s failure to live up to its commitments to the investors. “A large number of bad loans,” he points out, “were originated in the period 2006-2008 when economic growth was strong, and previous infrastructure projects such as power plants had been completed on time and within budget. It is at such times that banks (and, needless to say, promoters) make mistakes”. A woman walks past the Reserve Bank of India (RBI) head office in Mumbai, India, December 6, 2017. Their chief mistake was to “extrapolate past growth and performance to the future” and accept projects with very little equity capital, that relied almost entirely upon loans. When the upswing ended with the onset of global recession in 2008 and demand slackened, many projects became unviable. Fraud, in the shape of inflated capital costs, over-invoiced import bills and unacceptably low promoters’ capital has played a part, he wrote, but it is only a small one. Rajan placed the remainder of the blame upon “governance problems” – a euphemism for the Central and state governments’ failure to provide promised inputs, such as land free of encumbrances, coal, power, water, and transport connections. Unable to generate revenues, the investors ate into their equity capital to meet the mounting burden of interest payments, till there was none left. Then they walked away from them. This is the reason why India is saddled with up to 1,160,000 crores of stalled, “zombie “ projects and Rs 950,000 crore of largely irrecoverable debt. Rajan’s analysis is cogent, but incomplete. India has never been free of “governance problems”. There was a spell of “irrational exuberance from 1994 till 1996, followed by a steep slump in 1997 that lasted till 2002. But there was no pile-up of abandoned projects and irrecoverable debt then. His ascription of the current decline to the impact of global recession is also suspect. For the recession began at the end of 2008, but India’s slide into industrial stagnation and insolvency began three years later in 2011. In between, it recorded two years of the highest industrial and GDP growth that the country has known. Why this delay? The answer is the crippling interest rates that the Reserve Bank imposed on the economy in 2010-11 and is persisting with, in the face of catastrophe, today. A simple calculation is all that is needed to show what high interest rates do to infrastructure investment: If the promoters of power and highway projects, for instance, borrow money at 5% a year their capital cost, if not repaid, will doubled in 14 years. At 10% it will double in seven years. At 12% — the rate that even blue-chip companies were paying until 2015 – doubling takes place in 5.5 years. Since the same high rates will simultaneously kill the demand for housing and make car and refrigerator loans unaffordable, investors will be hit from both sides. In addition to this the government reneges on its promises to provide the infrastructure needed for production, such as coal, power, water and transport, the only option left open to them will be to cut their losses and walk away. Rajan does not have a single word to say about this, because he is one of the high priests of the high interest rate regime that has bankrupted the country. The evidence that this is indeed the cause of both the crisis in industry and in banking, comes from the pattern of bankruptcies. All but a few of the companies that are on the chopping block had dared to invest in infrastructure projects. The reason they had done so was that the public sector, which used to invest in infrastructure in the past, was no longer doing it. Public sector investment had been even more prone to delays because of the government’s failure to meet its commitments, but there were no stalled projects because it had the dual advantage of being loaned money by the banks at paltry rates of interest, and never having to fear bankruptcy. To justify their suicidal commitment to price stability, three RBI governors in succession – Y.V. 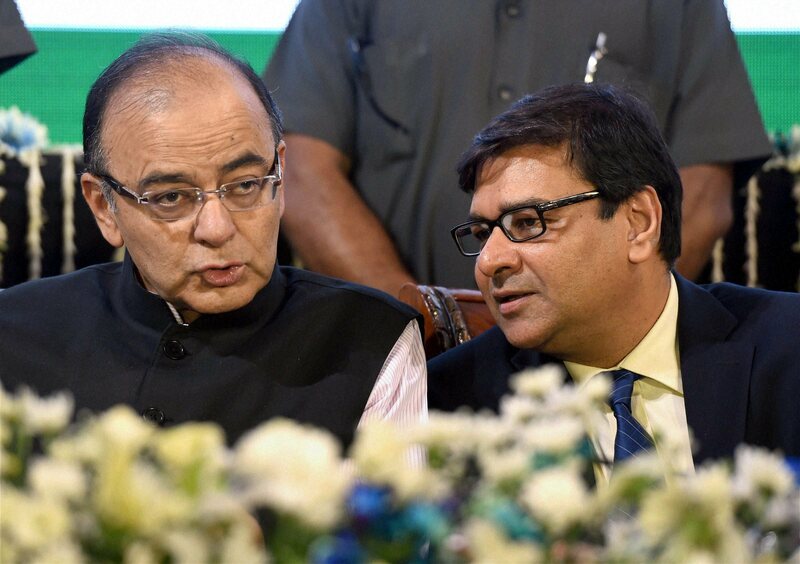 Reddy, D. Subbarao and Raghuram Rajan – have argued that price stability will automatically lead to growth. They have been buttressed by a much touted finding of IMF and other neo-classical economists that, contrary to the previously unquestioned belief, high rates of inflation do not automatically raise the rate of economic growth, but actually lower it. “Inflation targeting” was born out of his flaky belief. The RBI made this its Bible despite the fact that none of these studies had been able to establish a causal link from high inflation to low growth. And it did so in the face of compelling theoretical and empirical evidence that the causal chain runs in the opposite direction, i.e from economic growth to inflation. Some inflation has to accompany industrialisation because it requires the diversion of a part of current investment from producing consumer goods to capital goods. Every government of a rapidly industrialising country has had to face this problem and has resorted to price and distribution controls, such as rationing, fair price shops and food coupons. South Korea had an average inflation rate of 21% during the three decades in which it became an industrial powerhouse, and China has become one only with the help of stringent price controls on essentials, and negative real rates of interest on bank loans. In India, by allowing the RBI to make price stability the sole goal of policy the elected government sacrificed growth at the altar of stability. What has made the RBI impose this suicidal policy on the country, and why have two governments capitulated? The first reason, the suicidal adoption of “inflation targeting” by the RBI without realising that the rich nations have entirely different goals for adopting it than the poor, has been described at length in these columns on an earlier occasion. But the second, more pressing, reason is the imperative need to keep not prices, but the exchange rate stable. This has gained in importance with every year of high interest rates, because these have forced investors to borrow abroad, where loans have been available at rates as low as one to three percent, to keep their interest burden down. Between 2008 and March 2015 around 300 of India’s largest companies borrowed Rs 4.5 lakh crores ($680 billion) abroad, mostly with maturity periods ranging from 3 to 20 years. Between March 2014 and March 2015, after Modi’s victory became certain, borrowings increased by $ 181.9 billion. This raised India’s outstanding external debt by 38% to $580 billion. The euphoria was so intense that a very large part of the new debt was not hedged against the risk of a fall in the value of the rupee. As a result, in 2015, 59% of the $580 billion was vulnerable to devaluation. For the borrowers, maintaining the exchange rate regardless of side effects therefore became a matter of life and death. The real, unspoken, goal of ‘Inflation targeting’ is to maintain not price but exchange rate stability at any cost. This quest has not only killed the real economy but created an imbalance between India’s foreign exchange debt and its reserves that has brought international hedge funds into the Indian money market, circling like wolves scenting a killing. What India is experiencing, therefore, is a mild version of the “Asian Financial ‘flu” that began in Thailand and spread to the whole of Southeast Asia in 1997 and 1998. Unlike the Bank of Thailand in 1997, the RBI has had the sense to allow the rupee to depreciate in response the demand for dollars in recent weeks. But every few points drop in its value is increasing the risk of insolvency for the companies that have borrowed abroad. The only way to stem a further collapse is to lower the interest rate on long and medium term loans drastically to 4% or less. This will allow the embattled infrastructure and heavy industries to refinance their loans and drastically reduce their debt burden. Since the lower rates will also revive the housing, real estate and consumer durables industries, these companies will have a far better chance of repaying their re-structured loans than they have had in the past seven years. Why 4%? The short answer is that in no country in the 19th century did companies building infrastructure face real interest rates of more than one or two per cent. The US government provided much of the capital that American companies sank into 300,000 kms of railroads between 1870 and 1891 free of cost in the form of land and timber felling rights that they could sell in the market. In the 20th century, South Korea and China achieved their breakthroughs by raising capital at negative real rates of interest, in effect taxation of peoples’ savings. There is some risk that a sharp reduction of interest rates will cause an outflow of short term foreign investment . But this will get reversed when foreign portfolio investors see a sustained rise in share prices. More importantly, the availability of cheap capital that is free of exchange rate risk will end the long-term borrowing spree abroad by Indian investors that has precipitated the present crisis. The resulting reduction of demand for dollars will ease the pressure on the rupee. 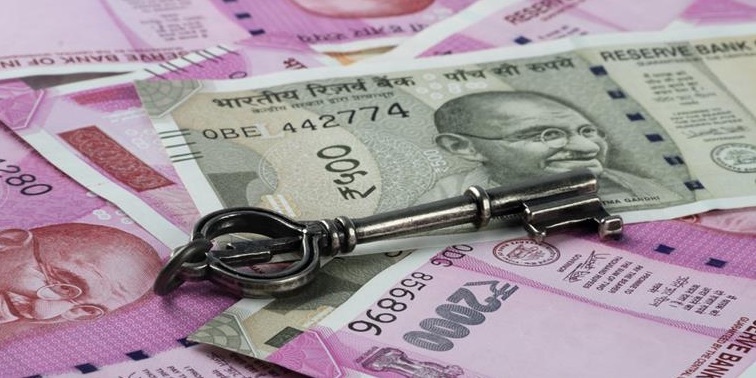 But time is of the essence, for every day that the rupee continues to depreciate increases the repayment obligations of companies loaded with foreign debt and weakens their capacity to respond positively to measures designed to revive economic growth. One more attempt to avoid domestic collapse by propping up interest rates will bring on the foreign exchange crisis that the government is mistakenly trying to avert through monetary policy alone.